Home | News & events | What Does the Future Hold for Warehouses? The past, present and future should be three factors every business takes into account. How aspects have changed over the years and what has worked well and not so well can give useful insight on predictions for the future. Let’s take a look at various present and future factors in order to give us insight into what the future holds for warehouses. Improved inventory management and control: Gone are the days where pen and paper are used to keep track of inventory. Despite how talented and valuable your team is, human error is still expected from time to time, if not often, which can lead to your inventory being inaccurate. As we all know, when inventory is inaccurate a string of issues could arise such as problems with stock and orders. Technology in present day is on the rise, it has brought us computers and systems with capabilities such as scanning barcodes, but what about the future moving forward? 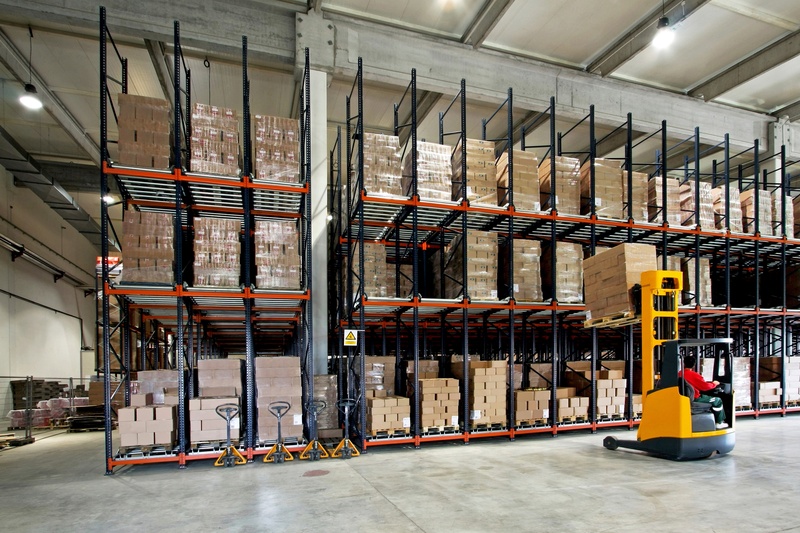 The future for inventory management: People are increasingly investing in technologies to manage their inventory and capabilities to enhance efficiency of receiving, stocking and picking. The world is transforming with technology and this will not stop. The use of mobile technology affects most of the worlds businesses and warehousing is no exception. High-speed mobile devices in warehouses and on the road with transport teams are becoming a popular need progressively and this need is expected to continue to grow over the next two years specifically. Completely Automated Warehouses: In the future we will be introduced to warehouses that are completely automated. Already we use robotics and complex technology to successfully complete intricate tasks across operations and industries worldwide. Amazon for example, according to a report by the Seattle times, has 45,000 robots. Reshoring: Situations have reversed and manufacturing businesses are starting to follow a reshoring strategy instead of the offshoring strategy. Offshoring posed huge cost benefits in the last 20 to 30 years. However, trends are reversing due to cost, the capability to provide a more efficient supply chain and the ability to get closer to the customer through easy communication. Therefore, businesses are relocating operations back to their country origin. The future is heading towards a more efficient supply chain as discussed above, but these factors aren’t the only aspects that should be considered. Integration of systems across operations is creating huge benefits for a seamless supply chain. However, currently most warehouses are acting as a standalone. In the future, more businesses will link up their warehouse systems to all parts of the supply chain such as ERPs’ and transport management systems. Integration will be a key factor in the future of warehouses as it provides huge benefits to the supply chain such as overall improved, efficient management of your operations. For more industry news, updates and information subscribe to the blog or click here to read some of our other related pieces.